Custom cable assemblies are the driving force behind some of the greatest technology. These cable assemblies allow inanimate objects to come to life, from the wires to make it function to the cables needed to allow it the proper amount of power. In today’s age of improving speed while minimizing size, custom cable assemblies are constantly being created and recreated to allow data and power to flow as needed, when needed in unison to create some of the most common inventions known to mankind. While the general public looks at the finished product, it is these custom cables assemblies that allow the products to behave in the manner they do, for the use they were intended. As automobiles are upgraded, improved, and revolutionized, so is their wiring. No matter how sleek an automobile appears on the outside, it is worthless if its operating systems cannot perform as promised. Countless custom cables are designed and redesigned to keep up with the demands of today’s automotive world. From the internal wiring signals to the custom harnesses, automobiles continue to demand the best of what can be offered and created with custom cable assemblies. Computers are continuously designed to be lighter, smaller and faster. As the internal space shrinks, the need for custom cable assemblies continues to grow. New ways are needed to run specific wires to transfer signals, data, and power without compromising the size or speed of a computer. This is not for desktops alone; this applies to everything from laptops to handheld GPS units. While this is not the first thing immediately thought of, new homes are also being constructed with new technology. Smart homes are no longer a distant dream; they are now being constructed for daily living. From computer operated windows to high tech security systems, custom cable assemblies are needed to create unique ways to run the wires to seamlessly integrate and operate homes without being bulky or obstructive. New combinations of wires are in demand to streamline how the homes operate and runs. It seems that every year an upgraded version of a new super television is born. This is done thanks to the creation of a combination of custom screens and custom wiring. Delicate combinations of cable assemblies are needed to create the high definition screens that are available on today’s market. The right mix of power and performance is what drives the television industry to be the success that it is today. Custom cable assemblies are a huge part of television production and manufacturing. While the world purchases an item for its use and convenience, it is the custom cable builders that have created a successful operation. 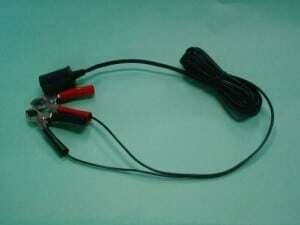 Custom cable assemblies are an important part of today’s functioning world. At Meridian Cable, we know how important it is to have a cable assembly created with specific needs in mind. Talk to us about your needs and what we can do to help create the solution you had in mind. After all, it takes the right combination to create the perfect result.